The Pennsylvania/Delaware Chapter of ASLA is pleased to offer our members the benefit of posting job opportunities at no charge. E-mail your employment opportunity to celliott@wannerassoc.com. 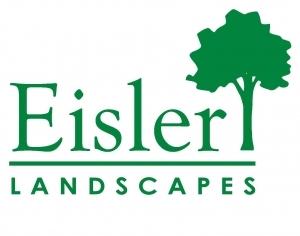 Eisler Landscapes, a long established Pittsburgh area landscape contractor, seeks a self-motivated individual for a position as a design – salesperson for our residential division Cranberry and North territory. A background in landscape architecture is required sales experience preferred. Salary commensurate with experienc; sales commissions, mileage, holiday and vacation pay, 401K, and health benefits available. Please contact Eric French at eric@eislerlandscapes.com for more information. It’s almost spring and an ideal time for new opportunities! Why not consider CLR Design? We’re seeking additional landscape architectural designers to join our team. If you’re ready for a new challenge, working with community driven organizations on sustainable, wildlife friendly and environmentally oriented design projects, send us your resume and work samples. As a mid-sized multidisciplinary architectural and landscape architectural firm with offices here and in Southern California, we offer a comprehensive work experience following projects from conceptual design through construction. We currently have openings for mid-level Landscape Architect/Designers with 5+ years of experience at our Center City Philadelphia office and at our Capistrano Beach, CA office. ACAD proficiency is a must. Please send your inquiry with the subject heading “Landscape Architect” to vbain@clrdesign.com. We’re currently in the process of redesigning our website, but still check us out online at www.clrdesign.com.